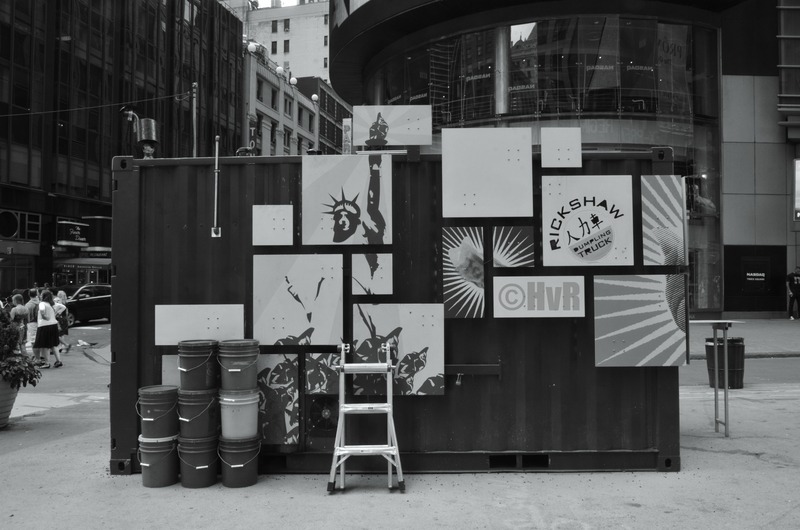 PIECES OF NEW YORK: An old shipping container becomes a pop-up Chinese food restaurant in Times Square. Segmented tiles become Liberty art. Neatly placed paint buckets and a work ladder, it becomes a still life of New York. This entry was posted on September 22, 2012 by newyorkcityinthewitofaneye. It was filed under DAILY PHOTOS WITH STORIES OF NEW YORK CITY and was tagged with Chinese food, fast food, Hans Von Rittern, Manhattan, New York City, Shipping container, Statue of Liberty, Times Square.